5.5" is getting a bit too big i think. Looks very good though - a very thin screen bezel. All phones are starting to look exactly the same now. Lovely big screens but with so many 5"+ phones coming out, how will they differ from each other. The Galaxy range will sell well purely on the back of the Galaxy Brand, which how has huge numbers of followers. The Xperia Z at least has water and dust resistance. 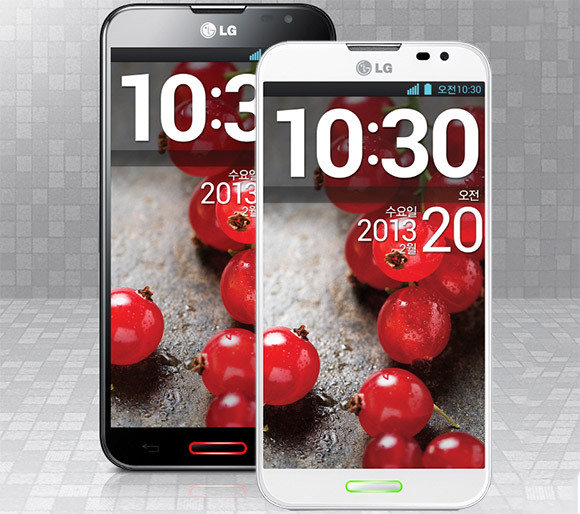 This LG looks good, especially with the thin bezel. Great specs (especially battery), design copied from Samsung, no USP. The lack of a stylus and custom software like Samsung will hurt the sales of this device I feel. 5.5" screen is too big IMO. Its just too big to conveniently carry in a pocket. So its not expandable then? or should it say "32 GB internal storage, Expandable by up to 32 GB using a microSD card"
Thats exactly what I thought. It looks nice but so samey compared to what we have already seen. Which also proves the point that theres only so many ways a phone can look with a full face touchscreen. Apple dont think so though.